Homepage » Ships Blog » Floating Doctors Goes Dental! 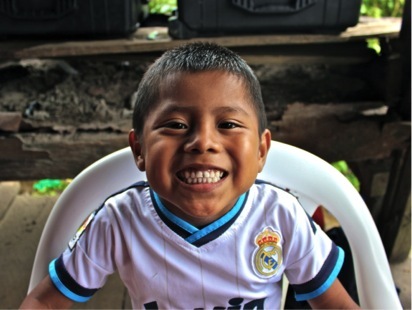 In the early months of 2015, Floating Doctors added another paddle to its ever-expanding Cayuco (wooden canoe) by launching its dental programme in tandem with the flourishing mobile medical clinics. It has always been the dream of Ben LaBrot, the founder of Floating Doctors, to have a long-term dentist join the crew. 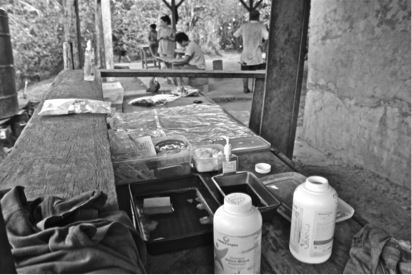 The need for dental treatment is in high demand but unfortunately very rarely accessible to the Ngäbe communities. 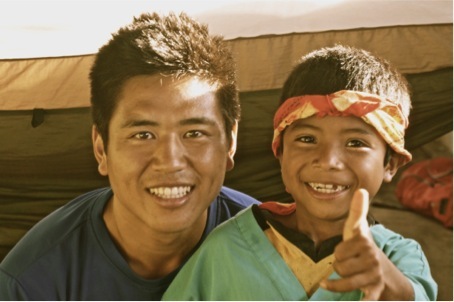 In its inception, the team’s first clinic was set in the mountainous village of Norteno. 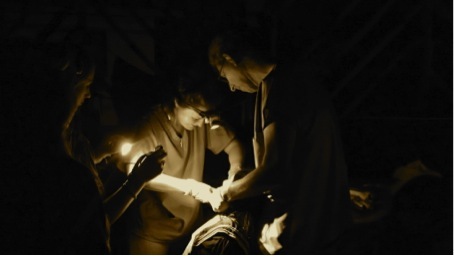 From dawn till dusk, spanning over two days, 80 patients were seen by our tireless dentists who maintained high spirits despite the failing light and increasingly limited resources. It is this drive and motivation to deliver healthcare in such challenging conditions that epitomises the spirit of our leadership team and volunteers representing our organisation. Since then, we have visited multiple communities where we are continuously amazed by the extent of dental caries prevalence, especially in young children. On each clinic, we will see an average of thirty patients, many of whom have suffered in pain with toothache or infections for several months or even years! Imagine, or can you remember, the debilitating sensation of dental pain and being without access to dental treatment for that length of time? Our clinic is currently restricted to extractions and minor oral surgery, but with time and correspondence to those with invaluable resources or expertise, we will strive to make Ben’s dream come true. Yolando is ready for his first-ever check-up! The development of the Floating Doctors dental programme would not be possible without the support and kind donations from our benefactors and organisations. For this we cannot extend our gratitude enough. We have set a target of $10,000 which, once achieved, would provide all the equipment necessary for a fully functional dental clinic to serve the Ngäbe communities. We have a fantastic opportunity to implement positive changes to the oral health of the communities in Bocas del Toro. It is a privilege to share this journey with you. Our working environment is such a challenging, exciting, very tiring, but thoroughly rewarding experience. Improving a patient’s quality of life is not based on what procedure or medication I give them, but my ability to show compassion and care to a person where they are expected to expose their problems and fears to a stranger whilst overcoming language, cultural, and social barriers.